Preheat oven to 450 degrees. 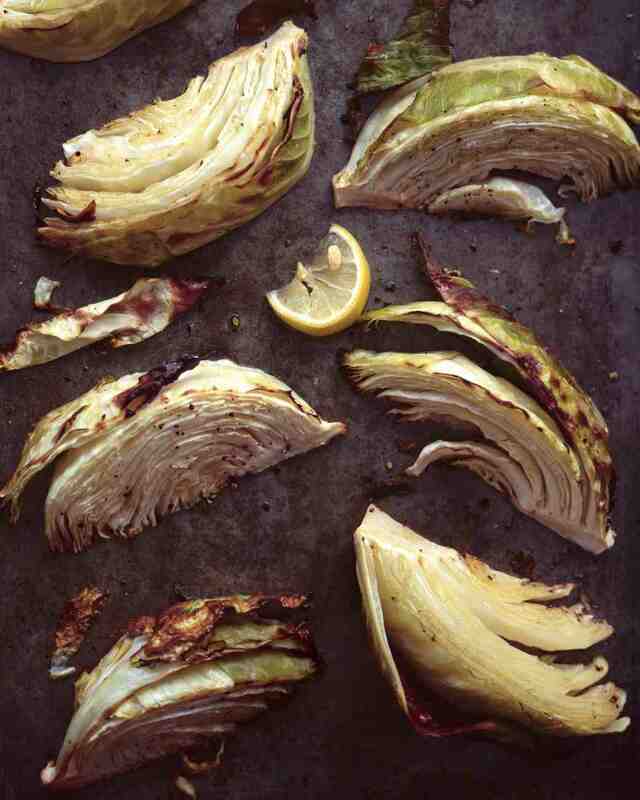 Arrange cabbage on a rimmed baking sheet. Brush both sides of wedges with oil. Season with salt and pepper. Roast, flipping halfway through, until edges are brown and crisp, 25 to 30 minutes. Squeeze lemons over cabbage.